Why See Dayton Opera - Salome? Despite its controversial origins, Richard Strauss's blazing Salome has gone on to become one of the repertoire's most in-demand masterpieces, defying infamy with its unforgettable score and emotional power. Risque, bloody and bursting with passion, this frenzied carnival of debauchery and death will have you on the very edge of your seat this season. 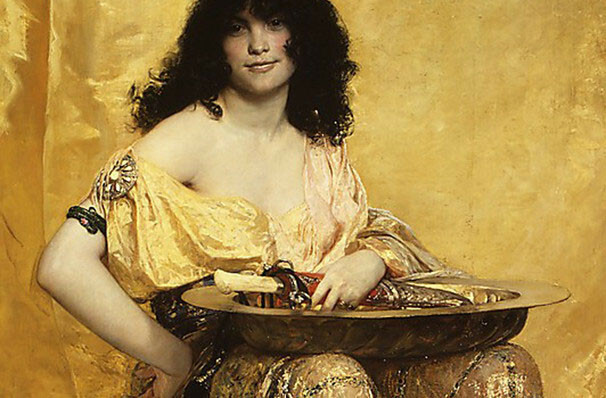 Based on a German translation of a play by Oscar Wilde, Salome follows the titular Princess as she wreaks havoc in the palace with her demands and petulance. Fascinated by the prisoner Jochanaan, she stops at nothing to possess his heart, asking King Herod to help her. Sexually charged and lavish, Salome isn't for everyone, but those that dare will not be disappointed by the Dayton Opera. 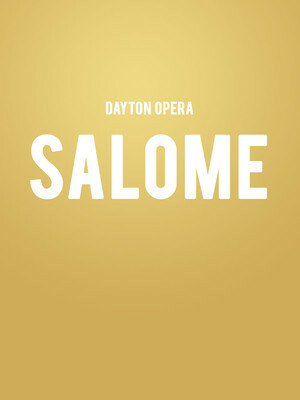 Seen Dayton Opera - Salome? Loved it? Hated it? Sound good to you? Share this page on social media and let your friends know about Dayton Opera - Salome at Mead Theater.